Three members of the License to Freeze Meals on Wheels team. From the left are driver Geoff Westgate, kitchen supervisor Kirsty Grinyer, and manager Greg Livermore. 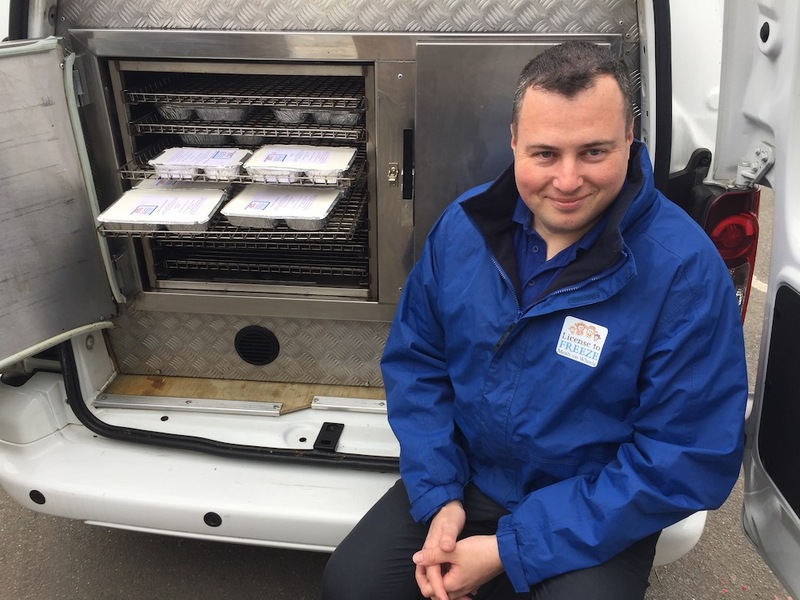 Hot meals, prepared in a kitchen at Hailsham, and cooked in purpose-built electric oven vans can be delivered to you seven days a week, 365 days a year, between 11.30am and 2.30pm. “Whether you are the first to receive your meal, or the last, your meal will be served at the perfect temperature,” said Greg Livermore, manager at License to Freeze Meals on Wheels. License to Freeze Meals on Wheels manager Greg Livermore with one of the electric ovens used to cook meals as they are transported to customers. Or, if you prefer, your meal can be provided ready for the freezer to be cooked in your own oven or microwave when you wish. License to Freeze Meals on Wheels was set up in Hailsham three years ago. It has five vans going out each day and three more ready for new routes. There is no contract to be signed and people do not have to commit to a minimum number of meals to take advantage of the service. All you have to do is call License to Freeze by 10am to place an order and it will be with you that lunchtime. License to Freeze Meals on Wheels offer a choice of 50 different meals on their menu and this is expanding all the time. Kitchen supervisor Kirsty Grinyer is pictured at work. 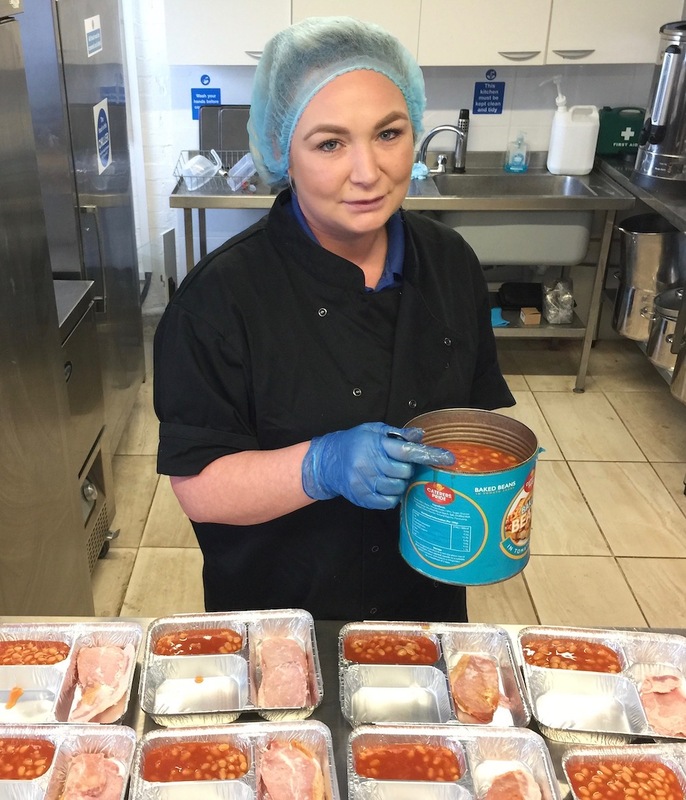 The menu, which can be seen on the Licence to Freeze website, includes hot meals, salads, and sandwiches. A main course costs £6.50 and a dessert £2. Freshly made sandwiches are £3. Greg said that the company’s drivers carry out welfare checks for families of elderly customers as they deliver meals and if there is cause for concern they report this back for action. “This is part of our service and useful to give relatives peace of mind,” said Greg. 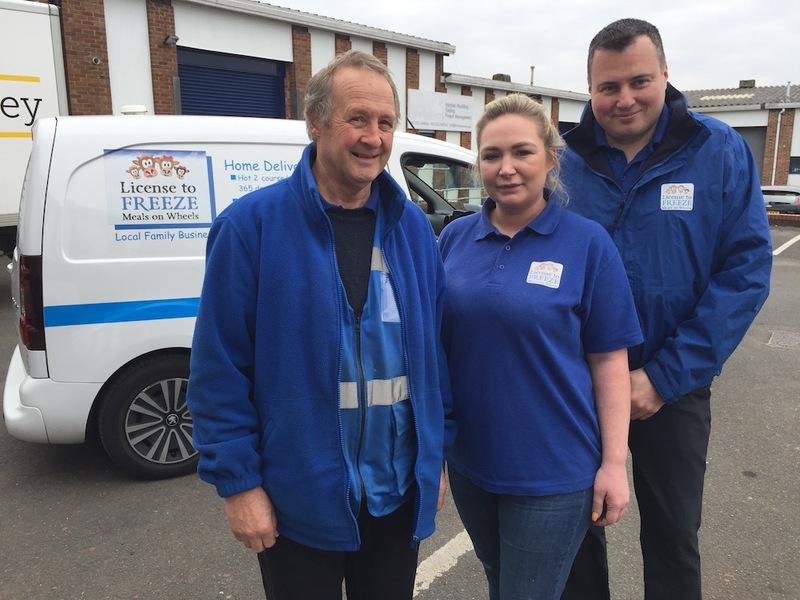 • License to Freeze can be contacted on 01323 643726. It is based at Unit 34, Station Road Industrial Estate, Hailsham, BN27 2EY.